A major landlord in Alberta will prohibit tenants from growing and smoking cannabis on its properties, even after the product is legalized in Canada on Oct. 17. A major landlord in Alberta will prohibit tenants from smoking and growing cannabis on its properties, even after the product is legalized in Canada on Oct. 17. In a notice sent to tenants this week, rental giant Boardwalk states the company "will not permit the use or cultivation of cannabis in our communities." Boardwalk owns about 22,000 rental units in Alberta with more than 13,000 units in Edmonton. The prohibition of cannabis products will apply to all of its buildings across the country. On Thursday, the company clarified it will not prevent tenants from eating or vaping cannabis products, despite its notice to tenants that implied a complete prohibition of cannabis products. "Because it's legal, it just means that it's not illegal to possess or use," said David McIlveen, Boardwalk's director of community development. "It doesn't mean that everyone has the right to use it, however and wherever they want." McIlveen said in making its decision, the company considered the safety of residents and the "reasonable enjoyment" of their homes. "Cultivation usually requires a fair bit of hydration, it can end up causing mould and that's a safety risk in buildings that were not designed to handle these larger plants," he said. The smell of cannabis smoke could impede "the reasonable enjoyment of those who don't want to smoke it, which at this point we think is a fair majority," he said. Smoking tobacco is not currently prohibited in any of the company's Edmonton rental units. McIlveen said that will not change. He said comparing the use of the two substances is like "comparing apples to oranges." There will be some exceptions made for medicinal cannabis use, McIlveen said. Two days after news of Boardwalk's cannabis policy was made public, McIlveen said the company never intended to prohibit edible cannabis consumption on its properties, and acknowledged the letter sent to tenants implied that would happen. Reaction to Boardwalk's policies have been mixed, he said. "The reaction from our residents has been positive, very positive. The reaction on media has been mostly about how will we police edibles...and it was never our intention to police edibles." 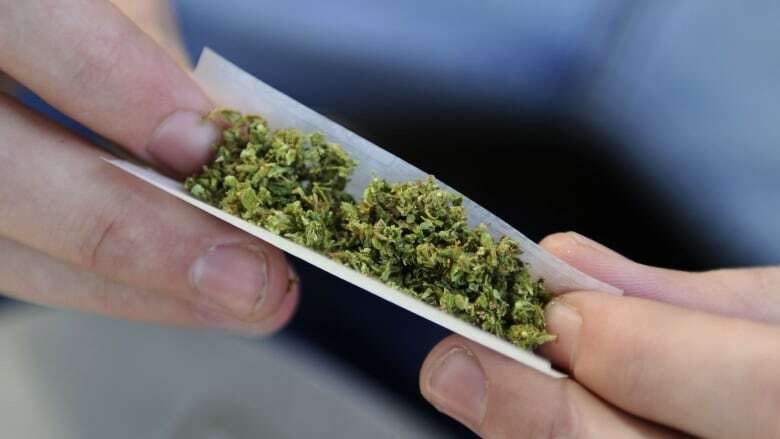 Edmonton-based condominium lawyer Robert Noce said many owner-occupied condominium buildings are adopting similar bans on cannabis. "It's driven from the fact that boards do not want to deal with what they anticipate will be this constant complaint of smell or mould as a result of growing operations, moisture, all of the things that generally flow from cannabis use," Noce said. "From an enforcement perspective, it's easy to ban it, so there's no grey area. And it provides a level of health and safety for their tenants." With legal cannabis being a new phenomenon, no one knows what its impact will be on multi-family dwellings or even on the city's streetscape, Noce said. "I think because cannabis is new and no one knows what the true effects will be, most organizations and municipal councils are taking a very cautious approach."